CES, which is held annually in Las Vegas, represents a chance for the world’s most recognizable and innovative brands to descend on the Vegas Strip to showcase their latest and greatest wares to the world. 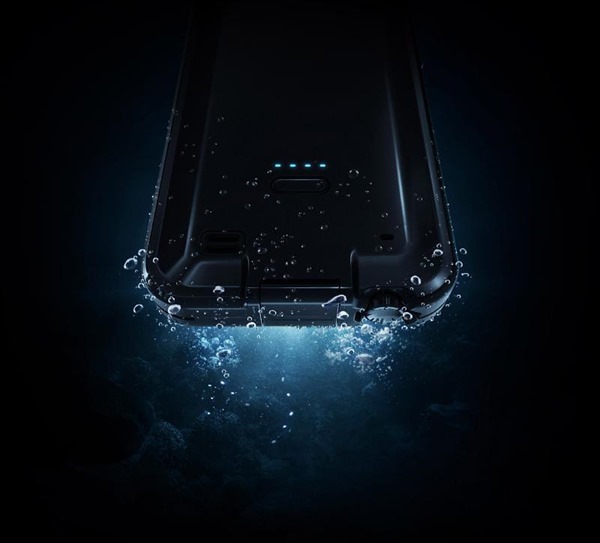 LifeProof, the maker of waterproof cases for smartphone devices, has just used the trade show as a platform to introduce its latest waterproof offering, the fre Power, which not only offers the expected water resistance but also a large battery boost to the connected iPhone 6. LifeProof are billing the oddly named fre Power as the original “four-proof case” meaning that it offers ingress protection against four major potential pitfalls. When the case is in operation it is capable of protecting against drops on hard surfaces, water and dust contamination as well as any potential damage caused by snow if you happen to live in a wonderfully white part of the world. In addition to that protection the fre Power case also features a built-in screen protector as standard and is manufactured in such a manner that it doesn’t prevent any native device features or functions from working flawlessly. If you’re the type who often goes swimming on a holiday or dives into the sea without any forward planning then the fre Power case could be a lifesaver. The accessory will offer waterproof protection up to a depth of 6.6 feet and can remain submerged for up to 60 minutes without any damage being caused to the device. If you happen to be the clumsy type who just can’t keep anything safe in your hand then fear not as LifeProof’s latest creation can comfortably protect the encased device from drops of up to 6.6 feet. It also meets military standards for shock and impact protection if the marketing literature is to believed. In addition to water and drop protection the fre Power will also protect against dust and snow if all ports are closed and sealed. LifeProof also took the opportunity during CES to announce a range of accessories that will allow consumers to mount and use devices in a range of environments that would have proved difficult before. The LifeActiv range will offer mounts for bicycles and motorcycles as well as for backpacks and hips that should appease those who are into things like hiking or mountaineering. There’s no additional information being provided relating to availability of the fre Power and LifeActiv ranges but it’s likely they’ll be publicly available during 2015. The fre Power case for iPhone 6 is set for release some time in 2015. But does it come in the plus flavor?